Back in 1980 we had a gigantic apricot crop in Seton Village. We were all trying to give them away to our neighbors who already had too many. 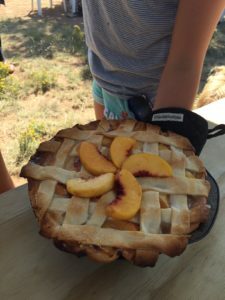 One aggressive neighbor, standing in our patio trying to give me a bag of apricots, declared that he would make an apricot pie and that it would be the best pie in the village. Hackles raised, I challenged him. I had my own apricots, far better than his, and I was no mean baker. We would have all the villagers judge, and there was no doubt in my mind that I would win. He was just as sure. 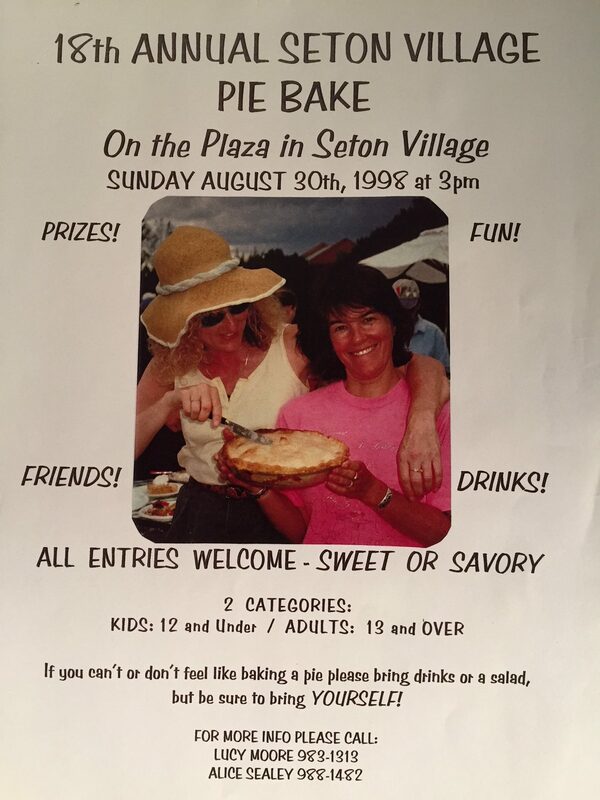 This was the birth of a tradition, the Seton Village Pie Bake, held annually during the summer months. We just held our 38th, but more about that later. 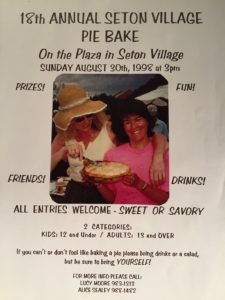 I put flyers in all the village mailboxes (about 20) announcing the contest, and inviting any neighbors who wanted to compete to bring a pie. My rival and I were not worried. Other pies would only highlight the superiority of ours. The day came and villagers arrived on our “plaza,” the small open space on which our houses face. There were several pies, and once they were finished off we voted with secret ballots for the best one. Mr. Mecker lived next door and was a quiet widower. He was older than the rest of us, maybe even 60. We were mostly in our 30s with small children and that seemed ancient. And yes, Mr. Mecker won the first Seton Village Pie Bake with an apple pie to die for. Accepting his paper winner’s badge, he smiled shyly and confessed that, yes, he did like to bake. The next year rolled around and the next and the next, and we just never stopped having pie bakes on the plaza. We have a child’s category, and when we had an abundance of teenagers we had a teen category. In recent years it’s been under 12 for kids and once you hit 12 you’re in the adult league. We had one precocious baker who won the child’s category at 11, and the adult category the next year when he turned 12! 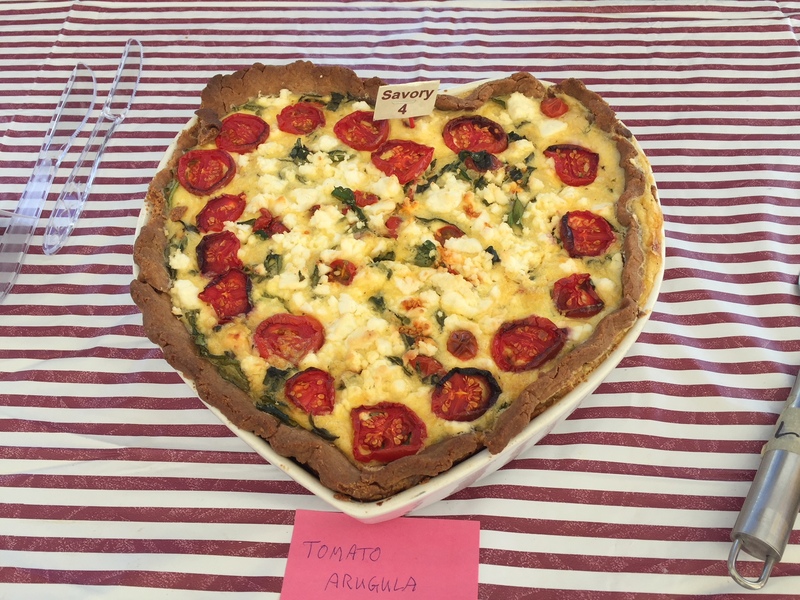 Also with the changing times we have experimented with “gluten-free” categories, and we have nearly come to blows over whether sweet and savory pies can compete with each other or should be in separate categories. 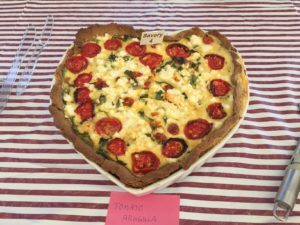 My feeling was that a pie is a pie and the quiche or pizza can hold its own against the key lime or chocolate cream. I lost that one, and we now have three categories: adult savory, adult sweet, and under 12. We’ve evolved through some awkward times, like all good traditions. 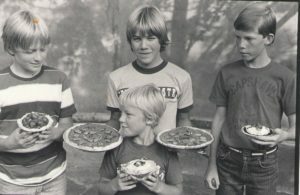 There was the year of the shaving cream pie and the rock pie as two 8-year-old boys vied for the most shocking pie. 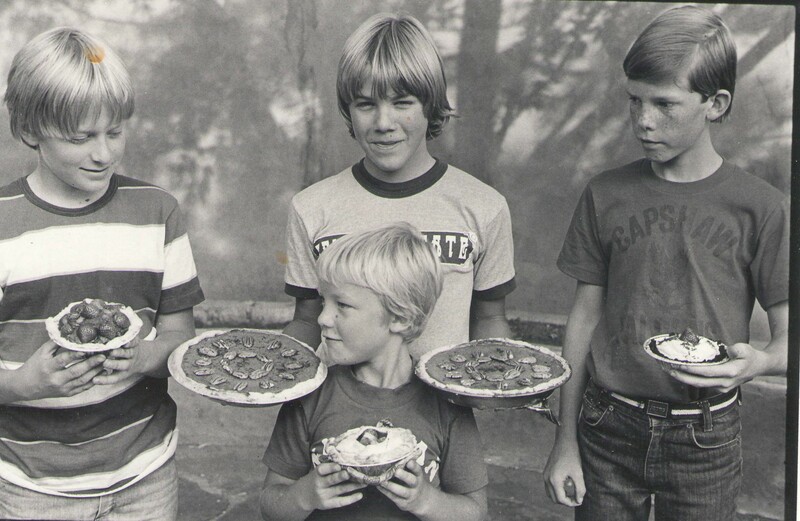 There was the year an adult flew into a rage because he was too late and his pie missed the judging. And there were several years where a villager invited so many friends that she was accused of stuffing the ballot box. There was another year when there was some confusion about the local nature of the event and we were flooded with outsiders, who brought (I cannot bear to remember!) store bought pies in white cardboard boxes!!! For a few years we had a panel of judges from outside the village – restaurant owners, professional bakers, a municipal court judge, or anyone who was willing. They sat in our patio and sampled as many as 30 pies, cleansing their palates in between with beverage of choice. With filled out spreadsheets, they staggered into the plaza to announce the winners. There were accusations of conflict of interest, there were lawsuits threatened for sugar abuse, and so we reverted to popular vote. Leo, 2018, one of our last under 12 contestants. Thanks, Leo! My favorite part of the pie bake is the children’s awards. 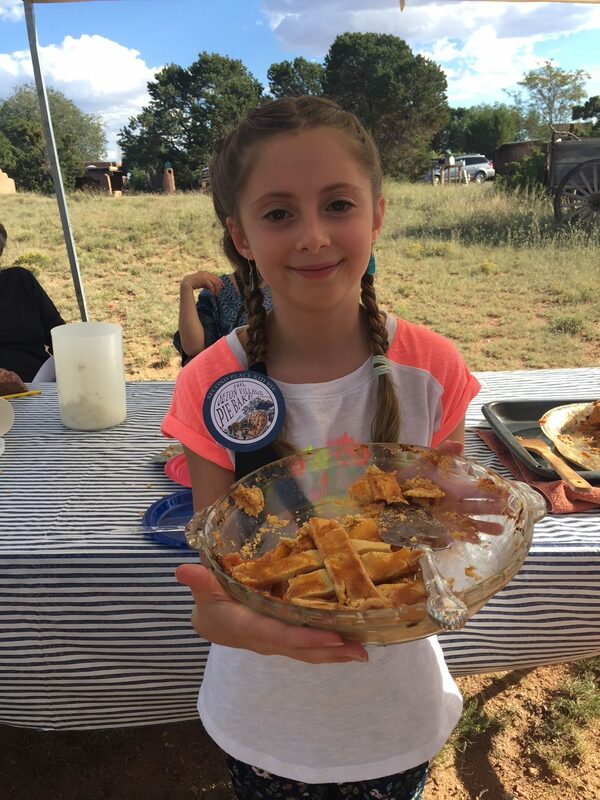 From the beginning we felt that it was important for any child who made a pie to be rewarded. We made paper badges for each child entry: “Flakiest Crust,” “Creamiest Filling,” “Most beautiful,” “Fanciest,” “Most Delicious,” you get the idea. It was pretty challenging when 12 or 15 little ones would arrive, carrying their creations. 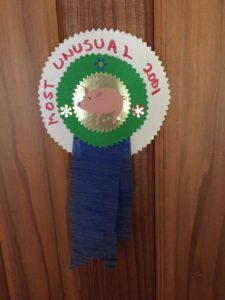 More than one year I would run back in the house to make more badges, trying to think up new categories, “Most Amazing,” “Most Creative,” “Most Surprising,” “Most Original,” “Most Spectacular,” etc. I am always touched at how excited each child is as their award is announced to thunderous applause. They bound up, beaming and describe their pie to everyone as I pin on the badge. 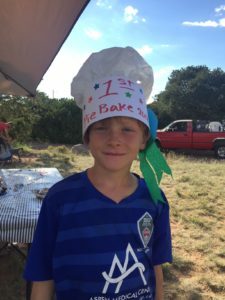 I ran into a pie bake graduate once who confessed that he was about 11 before it really dawned on him that everyone was getting a prize and so maybe his really wasn’t so special after all. That’s when you’re ready for the hard knocks of the adult category. 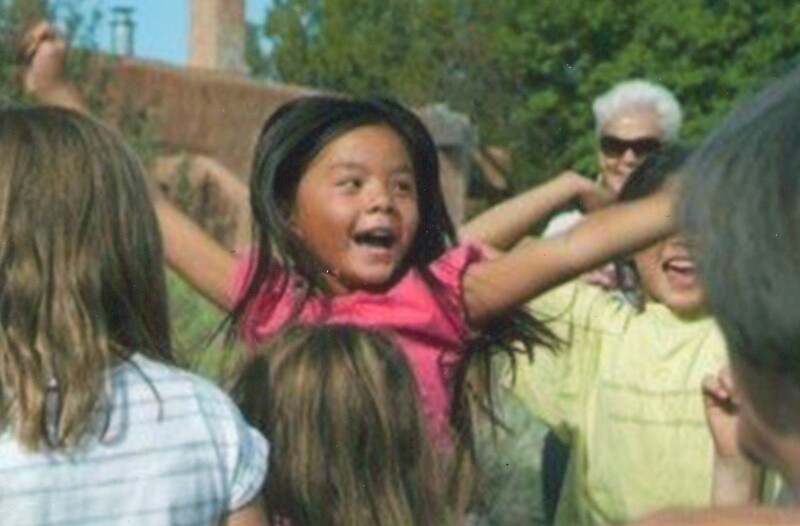 This year was just as much fun as ever. Great pies, good friends and neighbors, beautiful weather. But the times are changing and we villagers are aging and most of our children and grandchildren are far away. We have only two bakers under 12 in the village. What to do? 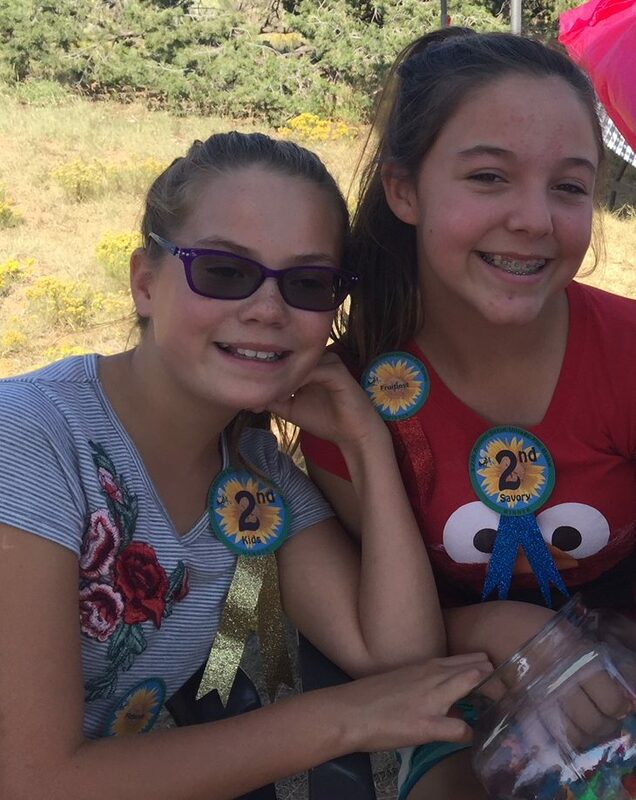 I say we go with the demographics and create an “over 80 and under 12” category. Wonderful! and a nice break from politics. I’ve been to SF/Fantasy conventions where the children’s category in the masquerade was judged similarly (i.e. coming up with a prize for all contestants). At Mythcon the whole masquerade is handled like that … of course, this is a venue where if there are as many as a dozen contestants total, we figure we’re doing good. 🙂 Part of the judges’ job is to come up with sufficiently clever names for the awards. It’s a fine tradition! Thanks, Margaret. Glad there are other democratic contests out there!